It's about time I had something quilty in a post, don't you think? Yesterday I decided to do another block for my Cottage Charm BOM. I must say there are times when my gigantic cupboard of stash comes in handy! I cut the vertical siding for the barn as directed, but what the directions failed to mention was they had to line up in one direction. With not enough fabric left to cut another, I started going through my stash to see what I could substitute. Lo and behold, I had a full fat quarter of the same fabric in my Little Gatherings FQ tower! Back to our second to last day in New Jersey. 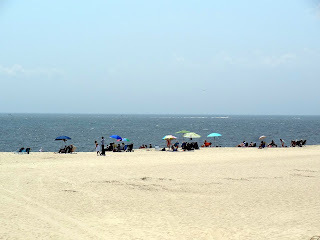 We spent a day in Cape May - one of my all time favorite spots. 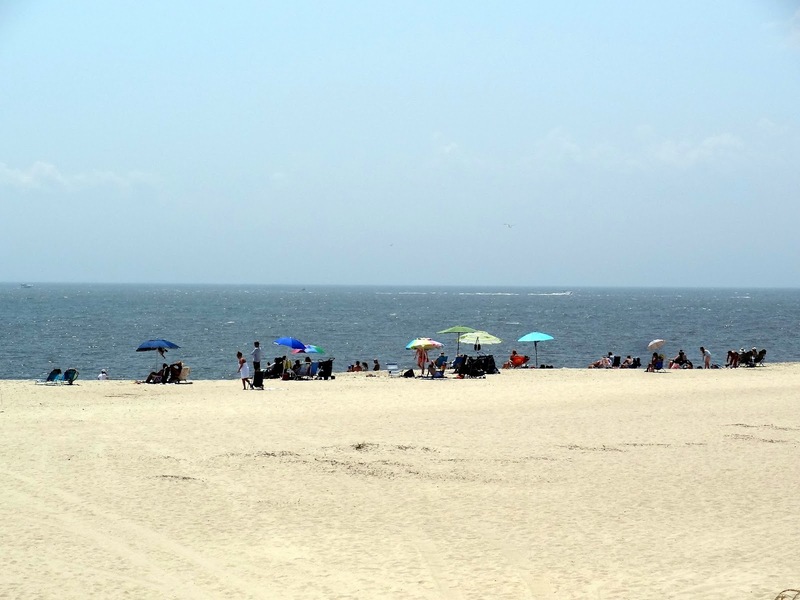 It is located on the southern tip of the state at Exit "0" on the Garden State Parkway. This is the car-free walking mall. 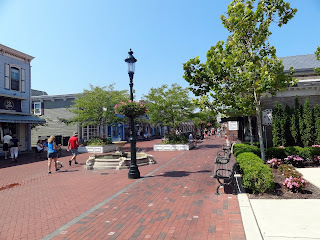 Lots of wonderful shops and places to eat or just sit and people watch. Mr. Squash did a little of the latter while I left a few bucks in some shops here and there. 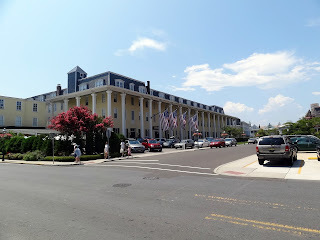 At the end of the mall is Congress Hall - one of the original hotels on the beach, built in 1816. We stayed in it once. The rooms are huge and airy and have great views of the ocean. 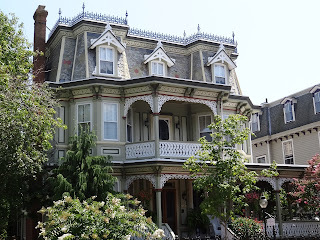 All over town are wonderful Victorian's - most are B&B's. We've stayed in a few of these as well. I must say gas prices don't seem to affect the desire to come to the shore at Cape May. We fought bumper to bumper traffic for many miles, and on the way home in the late afternoon, it was backed up for 40 miles still going to the shore! After our visit to the mall we grabbed some lunch at headed out to Cape May State Park and Lighthouse. 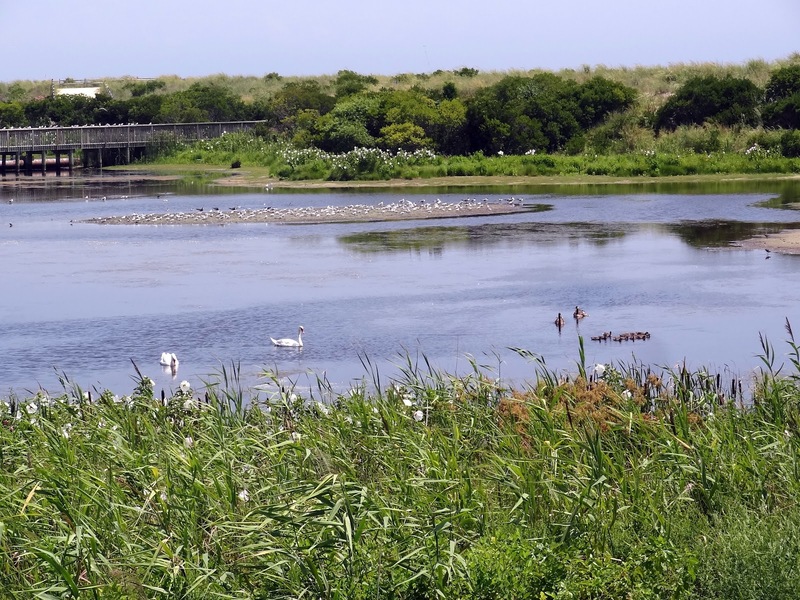 This large tide pool photo was taken from an observation deck built just for bird watchers. I wish it hadn't been so hot or we would have spent much more time here. 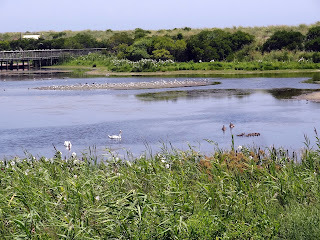 Click on the photo and you'll see a pair of geese with their little brood! Mr. 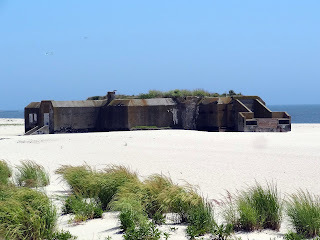 Squash braved the heat and walked out to get a photo of this WWII bunker. It's only a portion of the original structure. Most of it has been claimed by the sea. In fact, this much can only be seen at low tide. It looks like a lovely day to be at the beach if you can stand the heat! We had a nice lunch in a shaded picnic area then sought refuge back in the air conditioned car. Yes, we're wimps! Thanks for tuning in to my trip to the East Coast! Later today Mr. Squash and I are headed to Yakima where we are going on a guided fishing trip on Monday! Both of us have been looking forward to this. Stay tuned for what I hope will be a great fishing post! That is a great barn block. Perfect fabric choices and great details. Oh how I love old homes. I could stroll streets for hours. 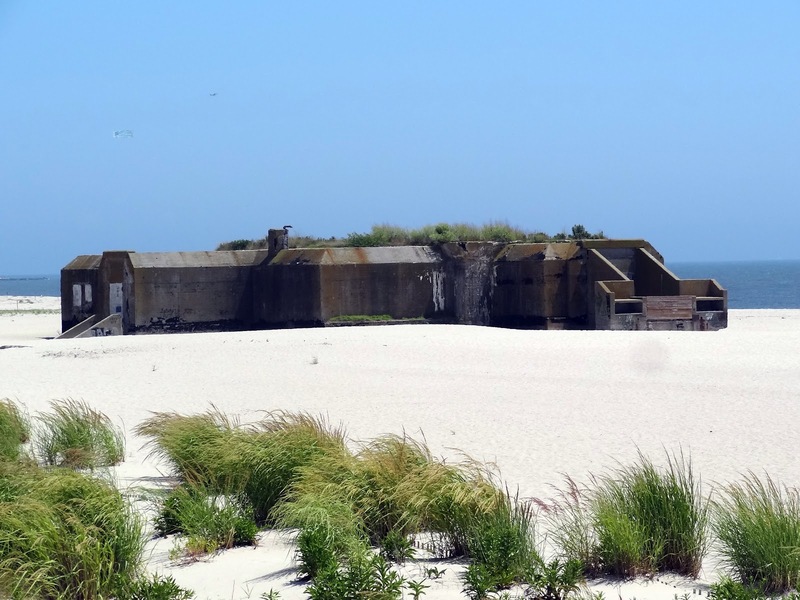 The WWII Bunker is an amazing piece of history, even if it's being claimed by the sea. Happy Fishing! Love your little barn! And your trip looks like it was wonderful. Thanks for sharing the pictures. Don't you love the beautiful houses? They are so fun to look at. Ohh I love your trip.. The car free mall looked very nice. Where there any quiltshops there ?? Thanks for posting these lovely pictures of your trip ! I really enjoyed them :-D Just love your barn block ! Perfect ! A light house! And that bunker is so neat. Beautiful beach! Thank you for the tour again! 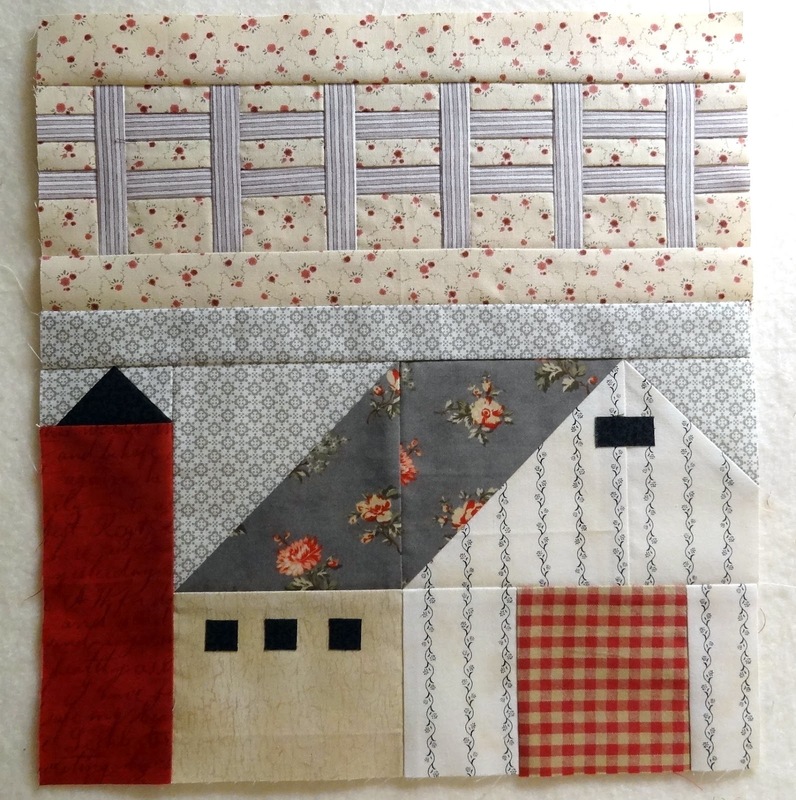 The barn block looks great, I'm curious to see the finished quilt top. What a pretty block. Oh my that Victorian house looked gorgeous! I would need a Gone with the Wind dress to go on it though. Thanks for sharing. Your barn block is great! The details and fabric choices are beautiful! Glad you were able to find an exact piece in your stash :) Thank you for sharing these wonderful pictures of your tour! Sorry that the heat has been oppressive until the end! I've always wanted to visit cape May. Love the barn block. And all the photos. Very creative barn block! 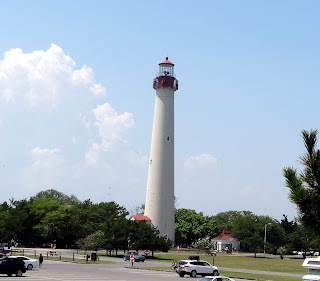 I know my parents loved Cape May when they visited a number of years ago (maybe 10?) It is too bad the heat was hot and the air was full of moisture to allow much outdoor time! I'm sure you'll drink in the Washington scenery and weather just the same on your trip. I like that the barn block has a fence with it. Good idea. Have fun on that fishing trip! Cape May looks lovely! Thanks for the tour. It is somewhere that I've heard a lot about but never visited. I'd love to go sometime. 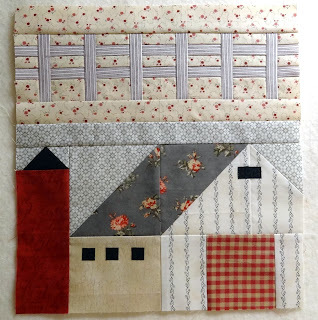 Your barn block is adorable! Finished Quilt Top and Tomatoes Galore! Cute Finish and a Wrangler!